Affect vs Effect: What Are the Differences? 2 What Are the Differences? 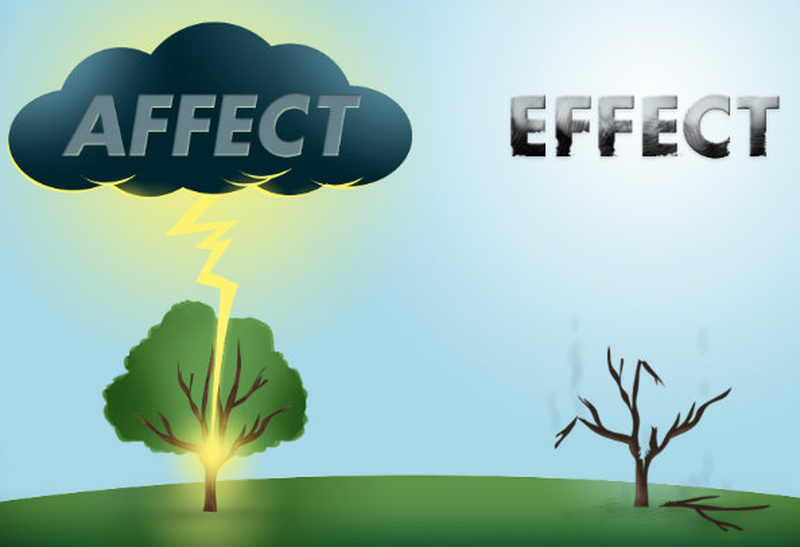 One of the most confusing word pairs in the English language is “affect” and “effect.” One of the reasons for this “affect” vs “effect” confusion is because they have similar meanings. “Effect” comes from the Latin word effectus which means “to bring about.” On the other hand, “affect” comes from the Latin word affectus which means “to act on.” So how to use them correctly? One of the reasons that the “affect” vs “effect” dilemma is so confusing is because they are homonyms, which are words that are similar, but do not have the same meaning. Examples of other homonyms include "accept" and "except", "right" and "write", and "their" and "there." 1. Affect refers to acting or changing something through influence. Example: The stock price affects the CEO’s job security. 2. Affect can be used to refer to an emotional response to something. Example: The news of their teacher's death did not affect the students. 3. Affect can be used within the context of attacking something. Example: Cancer can be affected with chemo therapy. 1. Effect is used when referring to something that exists due to a cause. Example: The snow day had the effect of canceling the plane flight. 2. Effect can refer to the ability to obtain a result. Example: The effects of cigarette smoking include death. Example: Some digital thermometers are based on the Seebeck effect. As discussed previously, “effect” is generally a noun and “affect” is generally a verb. Unfortunately, there are exceptions to this rule of thumb, such as when “affect” is used as a noun and “effect” is used as a verb.  Meaning: refers to the act of doing something.  Pronunciation: pronounced the same way as when it is used as a noun.  Example and Explanation: By volunteering in their place of work, people can effect change in their neighborhoods. Think you now understand “affect” vs “effect?” Click here to take a quick test to check your knowledge.